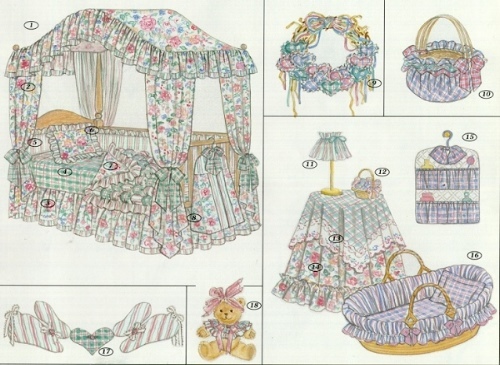 for 16 items for the baby's nursery including everything from crib sheets, canopy, drapes and bows to pillows, lampshades and covered baskets! A great all-in-one pattern. This pattern comes on nice, sturdy paper in a large 9x12" printed envelope.